Hello, merry readers! Sorry that this post is coming late—I was laid out in bed all day yesterday with a cold. The silver lining? I got a ton of reading done! It took me so long to finish this one because I didn't want to rush through its magnificence. It's got family secrets, reimagined Native American lore, and magical realism (giant lake monsters!!!). Everyone should read this book, 10/10, would read again. Another one I don't want to rush through (maybe I should have reconsidered the parameters of this challenge...). Some of these essays are dated, but others cut to the bone despite being written more than half a century ago. I hope to finish it tonight! I've been working on this audio on and off since last month, and I'm settling in for the long haul. It's 27 hours long, but the narration is fabulous (so many voices!) and it's great for giving my eyes a break. How are you guys doing? Be sure to link up if you've posted about the challenge! 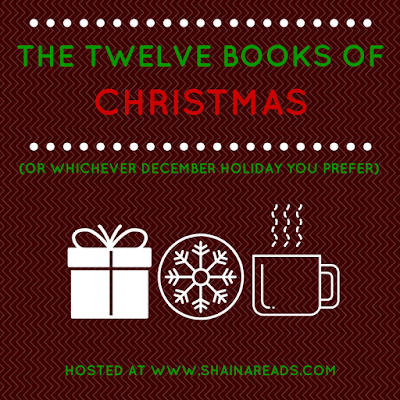 The Twelve Books of Christmas: ... And We're Off!